Lots of cheats here for you to check out and try including teleporting, quick leveling and getting Synthesis items. A huge collection of hints and tips to help you including how to beat Hercules, Sephiroth and Cerberus. We'll also tell you how to beat Hades without losing health. We have 1471 questions and 2815 answers for Kingdom Hearts. Check them out to find answers or ask your own to get the exact game help you need. How do I save Terk and Jane? I'm in the area where th..
Cant get chest to open in Olympus Colosseum in kh 1.5..
We have 22 Walkthroughs for Kingdom Hearts. Plenty of walkthroughs and FAQs to help you including a final mix Heartless guide, 101 Dalmatians FAQ and a 100 Acre Wood FAQ. 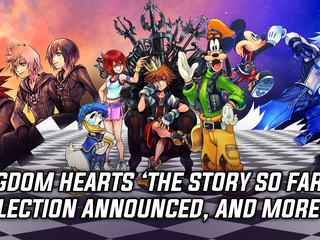 Kingdom Hearts...one of the few games that Disney has released in collaboration with Square Enix. .. I never really got into his game until I played it on a Playstation, at first it really didn't cat..
Kingdom Hearts in my opinion is easily one of the best video games I have ever played. The first t..
Kingdom Hearts is amazing seriously a must have for anyone. With appearences from people like Tid..
What an adventure!!! I loved to figure the stuff out myself but I had to use supercheats. Man, I w.. This game is my favorite game because of all the well done graphics an how there are real Disney c..
How do you open the treasure chest i..